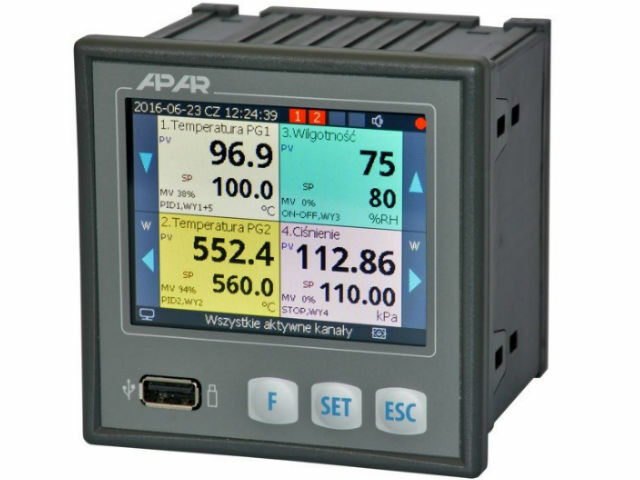 TME's offer has been enriched by AR654 universal controllers from APAR. They enable you to record processes, and they are equipped with a timer and a touch screen. AR654 controllers allow you to control, monitor, and record temperature and other physical values (humidity, pressure, level, flow, velocity, etc.). What's more, you can also save data as a standard text file to the internal memory of the controller (4 GB) or to an external USB storage, which can later be edited using spreadsheet software. 4 control/alarm outputs for slowly variable processes with independent control algorithms.